Wearing fake lashes was never not my forte. Its an art I still need to practice and practice. 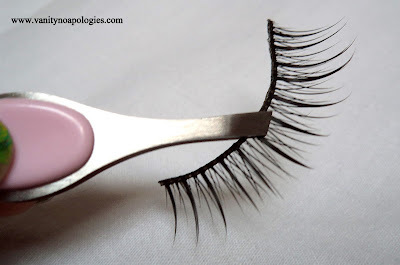 One of the few things which would bother me were the ridiculous long and unnatural length of the lashes. And upon asking a few of my friends, I got to know I was not alone. So, here I’m doing a tutorial to make this simpler for you as it is for me now. 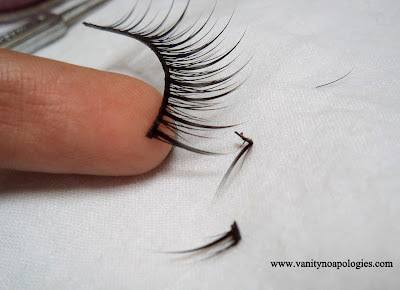 Step 1: Hold the fake lashes with a help of a tweezer. Step 2: Now carefully, cut a small portion from one of the edges, if the length is too big for your eyes. Keep on cutting, till you get the desired size. I cut two strands to make them fit my eyes. 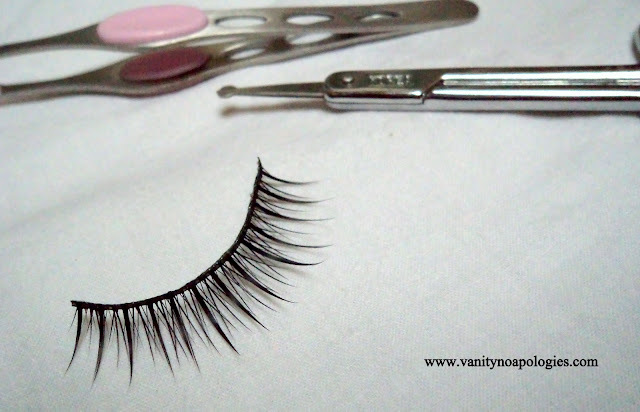 Step 3: Now start from the inner corner and trim a very very small portion from the tips (usually where the lashes form a curve). follow the shape of the lashes and go all the way till the outer corner. And if the thickness of the lashes is too much for you, pluck out a few hair strands from it uniformally with the help of the tweezers. Like so. See the difference it creates. The bottom lash is now wearable and perfect for my eyes. They look more black since I had used a mascara on them before taking the pictures! 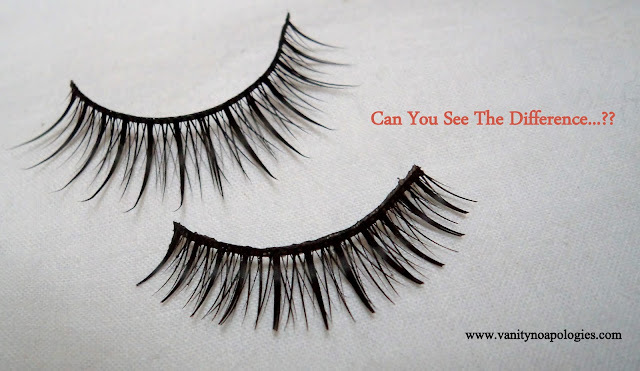 Very Useful post Anshita…I always had so much hassle using fake eyelashes. @rids ya we can’t use it without trimming no?